The ladies at Matchbook Magazine had the best field trip ever in my opinion. They went to BHLDN's Philadelphia headquarters, and spent time with the brilliant women behind Anthropologie's sister brand that deals with all things bridal. I get super giddy when I see behind-the-scene features, so I was not disappointed with this one. 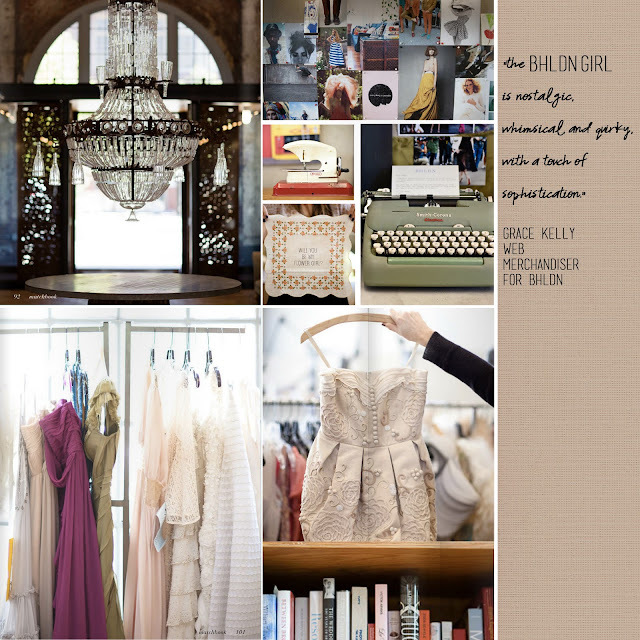 Grace Kelly's description of the BHLDN girl? "She is drawn to textures and details that accentuate her femininity. She mixes and matches to create a style that is truly her own and she loves to combine the old with the new! Nice and Inspiring for a sweet start of the week-end! Yes! Totally agree. It's inspired me to visit my local Anthropologie to see what's new!